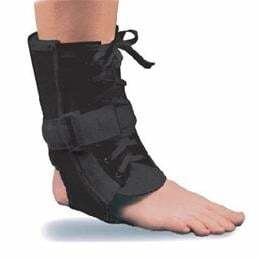 the DonJoy Canvas/Elastic Ankle Support it gives stability, comfort for chronic or acute ankle injuries. This unique combination of the comfortof elastic, with strength of canvas. Sewn-in medial and lateralmetal stays offer additional support.